2016 BEST OF WRITERSWEEKLY! 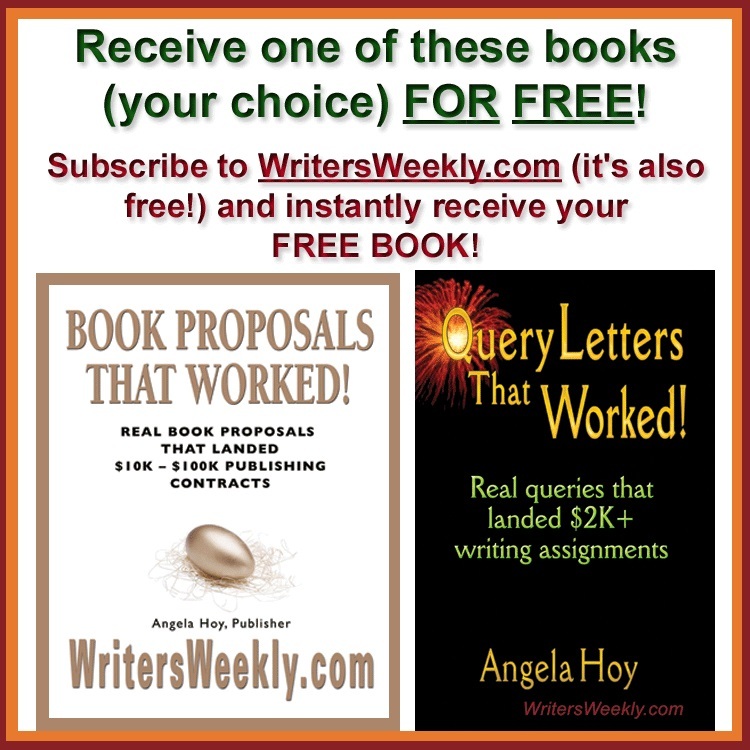 Make $10K+ Selling Erotica, COMPLAINTS about CreateSpace and Lulu, UPDATED Print on Demand Price Comparison, the 24-HOUR Short Story Contest, Writing & Selling Devotionals, Paying Christian Markets for Writers, and So Much More! This week, I’m sharing our 20 “most clicked on” articles for 2016. Some of these were published before 2016 but they remain popular, and one (#11) isn’t related to writing at all, but describes a very difficult day for our family. Enjoy! 3. UPDATED Print on Demand (POD) Price Comparison! 4. 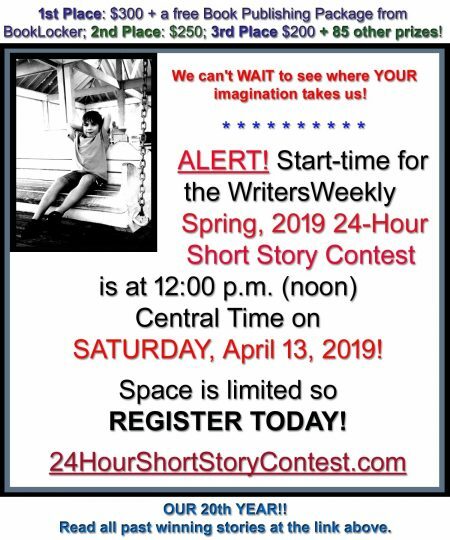 WritersWeekly.com’s Quarterly 24-Hour Short Story Contest! 5. DO YOU / DID YOU WRITE FOR ALLVOICES.COM? We’d love to hear your story! 8. More Lulu Complaints – Thinking Of Using Lulu To Publish Your Book? You Might Want To Read These Authors’ Complaints First! 11. How NOT to Teach a Child to Swim! 18. Will You Write My Life Story?! 20. 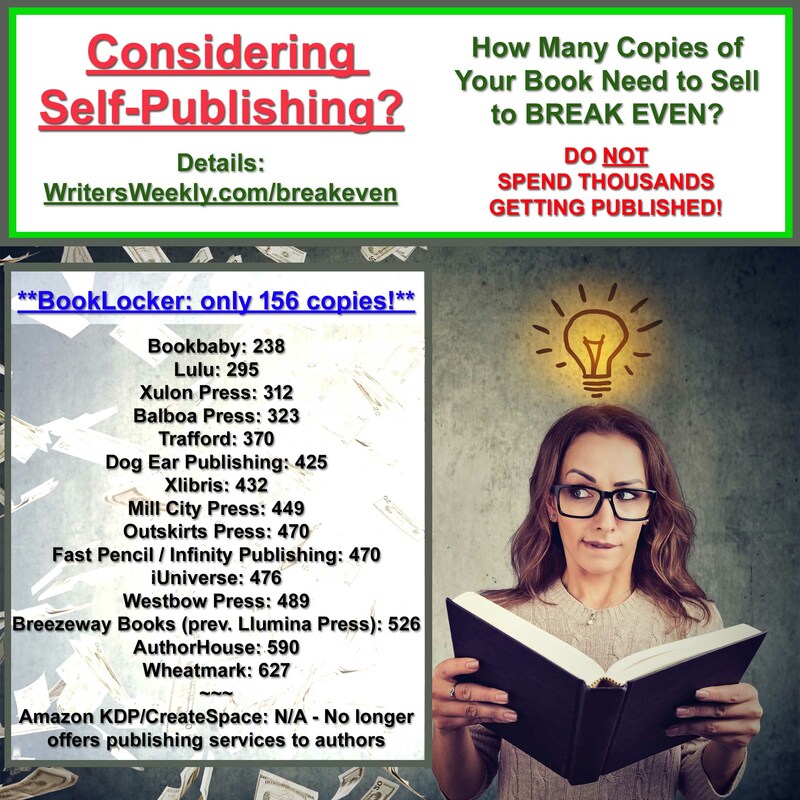 Is Amazon REALLY Giving Authors Accurate Sales Numbers?? Read This! 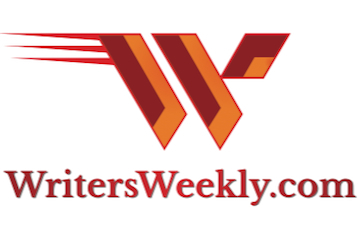 2015 BEST OF WRITERSWEEKLY! Paying Book Review Markets, CreateSpace Complaints, Make $10K+ Selling Erotica, Print on Demand Price Comparison, Firms That Hire Freelancers for Homeschoolers, and So Much More!